Applications are invited from eligible candidates for admission to B.A., LL.B., B.B.A., LL.B. and LL.M. 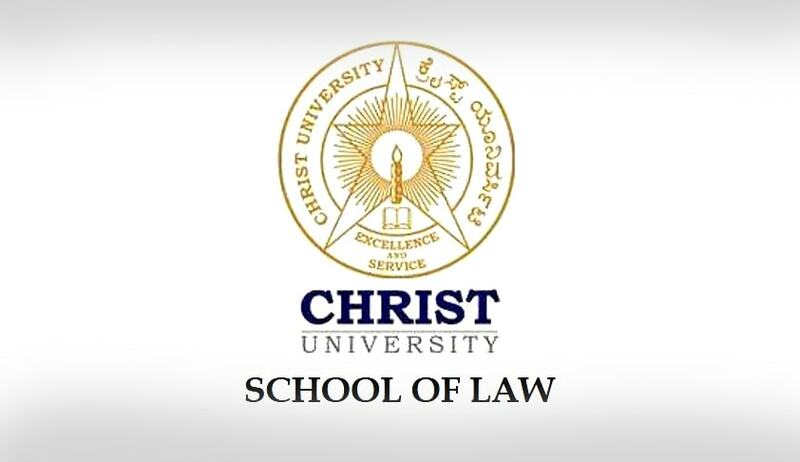 at School of Law, Christ University for the Academic Year 2016-17. Candidates writing the +2 examinations in March-May 2016 may apply with their class X and class XI marks statement. A candidate who has passed LL.B. (3 or 5 year courses) with a minimum of 50 % aggregate marks from any recognised University in India or abroad recognised by UGC / AIU are eligible to apply. Applicants who are in the final year of their studies should have secured 50% or above aggregate in all the Semesters / Years of Undergraduate Examinations conducted so far. Students appearing for their final degree examinations in March-May 2016 are also eligible to apply. Admission registration fee is Rs. 5000/- which is non-refundable in the event of cancellation of admission. Applicants can fill-in and submit the application forms online on the University website. The online application can either be processed after remitting the application processing fee at SBI core banking branches in the prescribed SBI Challan Format given in University website or through the payment gateway with a valid Credit Card / Debit Card / Net banking facility (details are given under the preferred program page in the University website). The online applications will be available from 04:00 PM onwards, on 8th December, 2015. Candidates must fill all relevant details in the hard copy of the application. They must then log on to website and create a 16 digit unique ID by entering email address, mobile number and date of birth. After creating ID click “Proceed with Application” option to enter offline application number and receipt number before entering all the details filled in the hard copy of the application.